Born in Uganda, Henry Tumwesigye was the youngest of seven children. When Henry was just four years old, both of his parents died. Life became very difficult for Henry and his six siblings. Fortunately for Henry and his youngest sister, their grandmother was able to place both of them in an orphanage sponsored by African Children’s Choir (ACC). In 1988, Henry had the privilege to be selected for ACC’s traveling choir. At the tender age of five, Henry climbed on a large bus and became the youngest member of the tour. He toured the USA for 18 months, singing and dancing and sharing with others about his country. Then again in 1991, Henry had another opportunity to tour with ACC, this time to Russia, Canada, and the United States. It was a wonderful childhood experience for Henry. Henry went back to Uganda to complete his primary and secondary education. He continued on to college and majored in Journalism, graduating in 2006. Henry wanted to give back to his sponsorship organization and he did so by volunteering to be a chaperone for the 29th African Children’s Choir. During that tour that Henry met another volunteer and together their conversations marked the beginnings of Bridge of Hope Africa Ministries. Following that tour, Henry then continued to gain experience with other sponsorship organizations from 2009-2015. 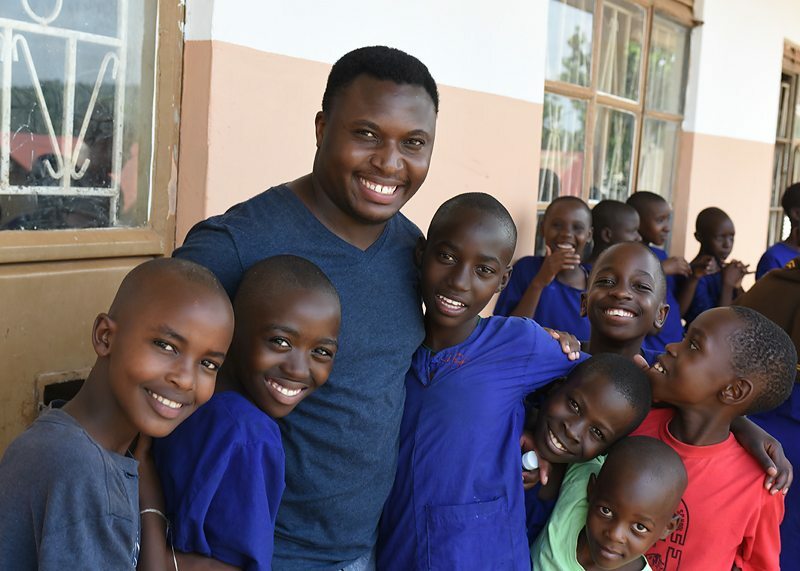 In 2015, however, the call to establish a new organization focused on children, microenterprise, and discipleship in Uganda became more and more acute. Together with his friends and former colleagues, he established Bridge of Hope Africa Ministries in Uganda and the United States. Now his dream is becoming a reality! “Growing up and knowing I had no parents was hard. But accepting the Lord Jesus Christ as my Lord and personal Savior at a young age gave me assurance through His word that He is the Father of the Fatherless.” Psalm 68:5 (NAS). His personal relationship with Christ has kept Henry moving forward and his unique experiences have qualified him to start a new non-profit organization. With earnest prayer and commitment, Henry believes many lives will be changed and blessed through Bridge of Hope Africa Ministries. Consider partnering with Henry and changing the lives of children in Uganda!